Here is the December 2, 1975 press release describing the conference, and underneath that is the invitation organizers sent out announcing the conference. An unprecedented gathering of 360 women who are both feminists and conservative Christians took place here during Thanksgiving weekend. Fired by mutual support and the conviction that “Jesus is a feminist,” they returned to 36 states and a broad spectrum of denominations, determined to spread the word, work for passage of the Equal Rights Amendment, and combat the popular “Total Woman” ideology. The Conference on Biblical Feminism was the first demonstration of national solidarity among church women discontented with the tradition of male leadership in churches and homes. 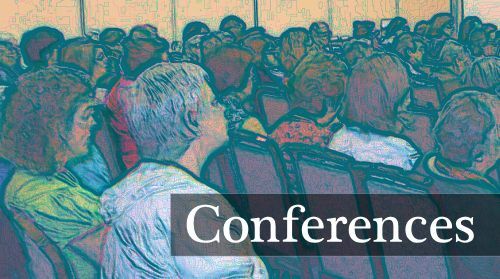 Evangelical Women’s Caucus (EWC), a loosely organized one-year-old group, sponsored the conference and discovered overwhelming demand for an incorporated national organization, regional and local chapters, and continued advocacy of biblical feminism. Over $4500 in cash and pledges was given to get the proposed actions and incorporation underway. A temporary national office was established in Minneapolis under the leadership of Evon Bachaus, a prominent Christian feminist and head of the National Organization for Women (NOW) Task Force on Religion in Minnesota. Providing organized opposition to Total Woman, Inc., is an immediate goal of the EWC. Keynote speaker Dr. Virginia Mollenkott denounced the misuse of the Bible by Total Woman and other groups which attempt to justify female submission through selected quotation of biblical texts. Mollenkott is a Christian author and Professor of English at William Paterson College in New Jersey. A resolution was passed supporting the Equal Rights Amendment as: “consistent with Christian convictions” and calling for active work to bring about its passage. A second resolution expressed solidarity with the 2,000 Roman Catholic women meeting simultaneously in Detroit on the ordination of women. Sharing of personal struggles through open testimony and small groups formed the heart of the conference. Many women told of isolation and ostracism, finding mutual support for the first time. “I had no one else to turn to. My church and family told me I was a troublemaker and mentally sick for wanting equality,” said one woman. Two of the speakers, Letha Scanzoni and Nancy Hardesty, are co-authors of All We’re Meant To Be: A Biblical Approach to Women’s Liberation (Word Books, Waco, Texas, $4.95), recently selected as book of the year by Eternity magazine. Scanzoni discussed the need for compassionate affirmation of various lifestyles: marriage, singleness, parenthood, and childlessness. A hard-hitting, radical exposition of biblical feminism and its scrip­tural basis, Mollenkott’s address was received skeptically by some women. However, intense communication and love throughout the weekend conquered the potential for divisiveness. “‘The historical roots of Christian feminism (and all modern feminism) in the evangelical churches in the eighteenth and nineteenth centuries were presented by Lucille Sider Dayton, Donald Dayton, and Nancy Hardesty, who are working on a book to be published soon. Lucille Sider Dayton is also the coordinator of Daughters of Sarah, a bimonthly national newsletter for the Christian feminist community featuring articles, news and resources. Twenty-five different workshops covered five major areas: political activity, marriage and singleness, work in and out of the home, the feminist experience, and intellectual and theological concerns. Including some minority women, the 360 participants represented a wide variety of denominations, ages, professions, geographical locations, and feminist backgrounds. In addition, about 20 of those taking part were men. “The men at the conference all felt loved and accepted,” said Dr. Rufus Jones, white-haired General Director of the Conservative Baptist Home Mission Society. He led the men’s workshop and said the conference was the most significant he has ever attended. A minority of the women attending were members of NOW and other secular feminist organizations. Some had had contact with secular feminism and had been alienated from it. Another small number had worked on women’s task forces in their own denominations. A larger group had read feminist books, either the basic secular texts or the recently published Christian ones, such as All We’re Meant To Be. Many came to meet the authors. Others included a representative to Congress from Kansas and a woman who had done extensive work for the ERA in the New York referendum through the League of Women Voters. To many people the terms “feminist” and “Christian” seem mutually exclusive. EWC hopes to show them that feminism is not only consistent with the Bible, but a natural outgrowth of the Scriptures rightly interpreted. “The demon of sexism must be exorcised from the biblical community,” asserted Mollenkott. Hardesty provided a provisional working definition of biblical feminism. Christians who believe, first of all, that it is essential for salvation to have a personal relationship with Jesus Christ as Savior and as Lord, and who accept the Bible as the inspired and authoritative word of God. We are also concerned for love and justice between the sexes, and we are committed to find the whole counsel of God on this matter. A year later, Thanksgiving of 1974, many of the same people met again and at this meeting an Evangelical Women’s Caucus was formed. One of the directives of that caucus was to put together during International Women’s Year a national conference on Biblical feminism. A planning committee was elected and plans have begun to unfold. to provide women with the multiple resources for further growth in these areas, including resources from denominations long at work in these areas (various ecumenical women’s centers, Daughters of Sarah, women’s advocates in the United Presbyterian Church, U. S. A., and the United Methodist Church, Lutheran Women’s Caucus, Episcopal Women’s Caucus, Religion Task of N.O.W. ).